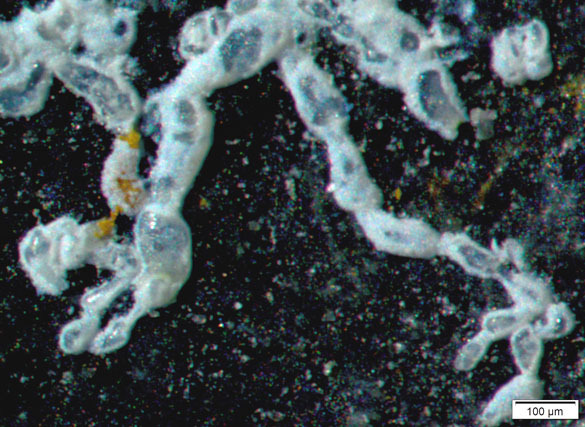 Vinelloidea is in the Order Miliolida of the Foraminifera. It is a very common sclerobiont in shallow water Jurassic and Cretaceous deposits, especially in western Europe. Curiously, I’ve not yet seen it in the Jurassic or Cretaceous of Israel, and I’ve looked very hard at the encrusting faunas there. Vinelloidea grew as a series of glassy chambers across shells, pebbles and hardgrounds (Reolid and Gaillard, 2007; Zaton et al., 2011). When the conditions were right, as they were in the Middle Jurassic in southern England, it could be one of the most abundant encrusting organisms in life’s history. Canu, F. 1913. Contribution à l’étude des Bryozoaires fossiles XIII. Bryozoaires jurassiques. Bulletin de la Société géologique de France, série 4, 13:267-276. Cushman, J.A. 1930. 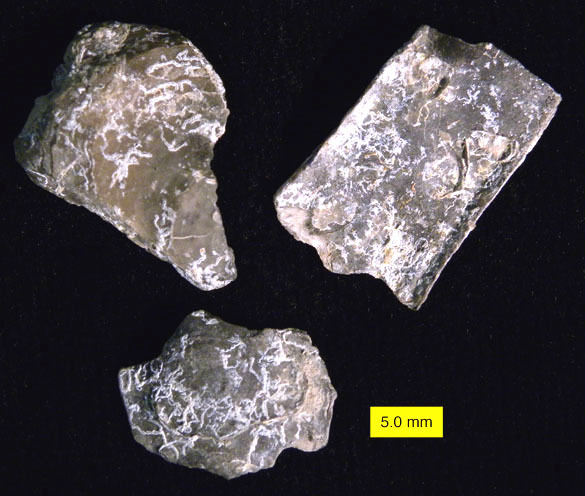 Note sur quelques foraminifères jurassiques d’Auberville (Calvados). Bulletin de la Société linnéenne de Normandie, série 8, vol. 2 (1929): 132-135. House, M.E. 1993. 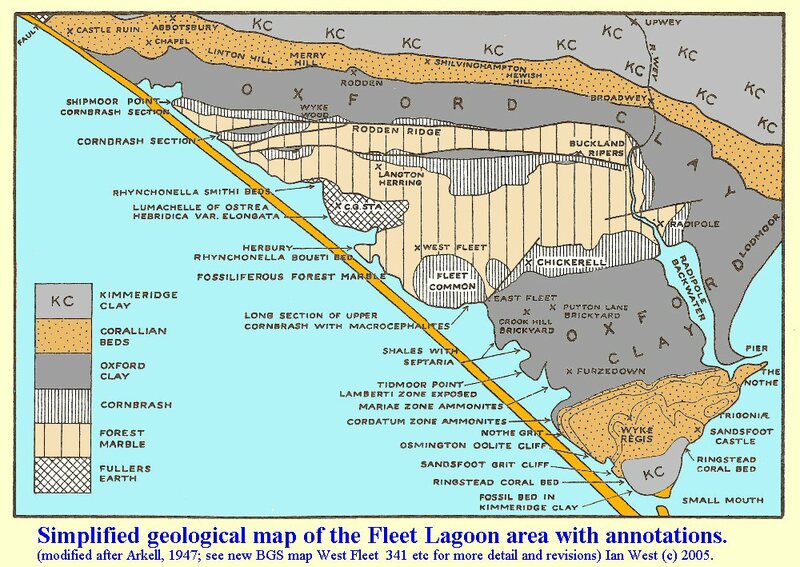 Geology of the Dorset Coast. Geologists Association Guide No. 22. 2nd edition, 164 pages. Reolid, M. and Gaillard, C. 2007. 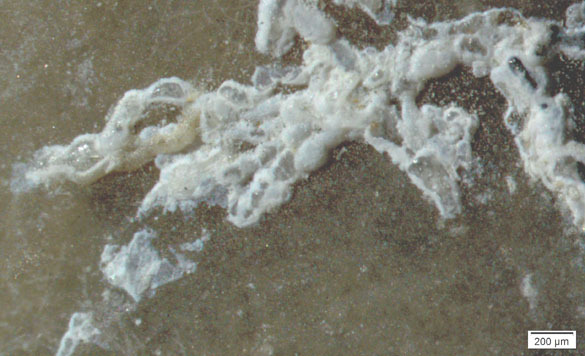 Microtaphonomy of bioclasts and paleoecology of microencrusters from Upper Jurassic spongiolithic limestones (External Prebetic, southern Spain). Facies 53: 97-112. Voigt, E. 1973. Vinelloidea Canu, 1913 (angeblich jurassische Bryozoa Ctenostomata) = Nubeculinella Cushman, 1930 (Foraminifera). Paläontologische Abhandlungen 4: 665-670. Zaton, M., Machocka, S., Wilson, M.A., Marynowski, L. and Taylor, P.D. 2011. Origin and paleoecology of Middle Jurassic hiatus concretions from Poland. Facies 57: 275-300.